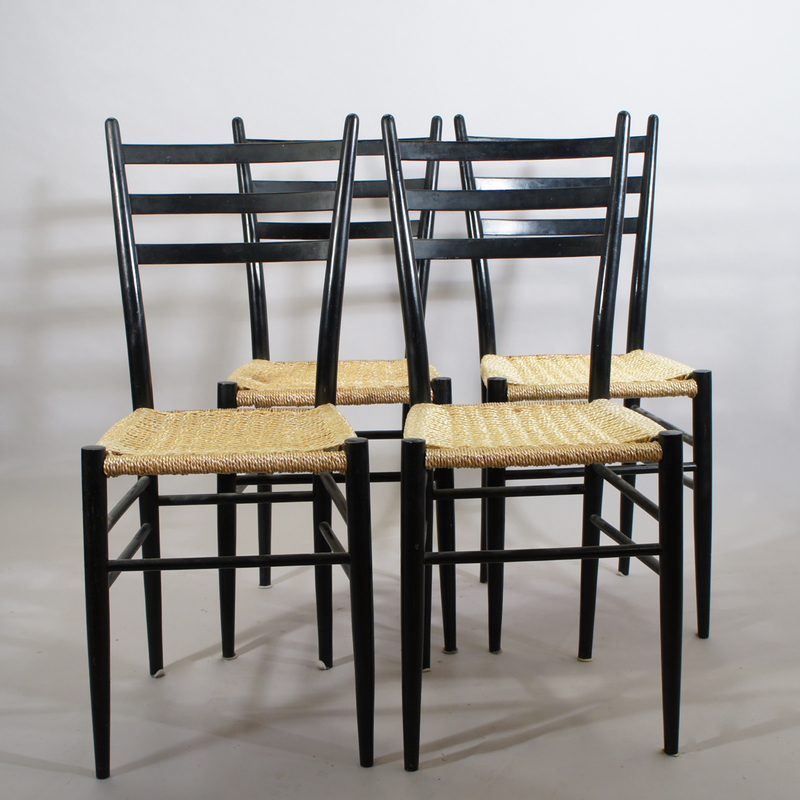 4 super light dining chairs in wood with seating in nylon ropes. 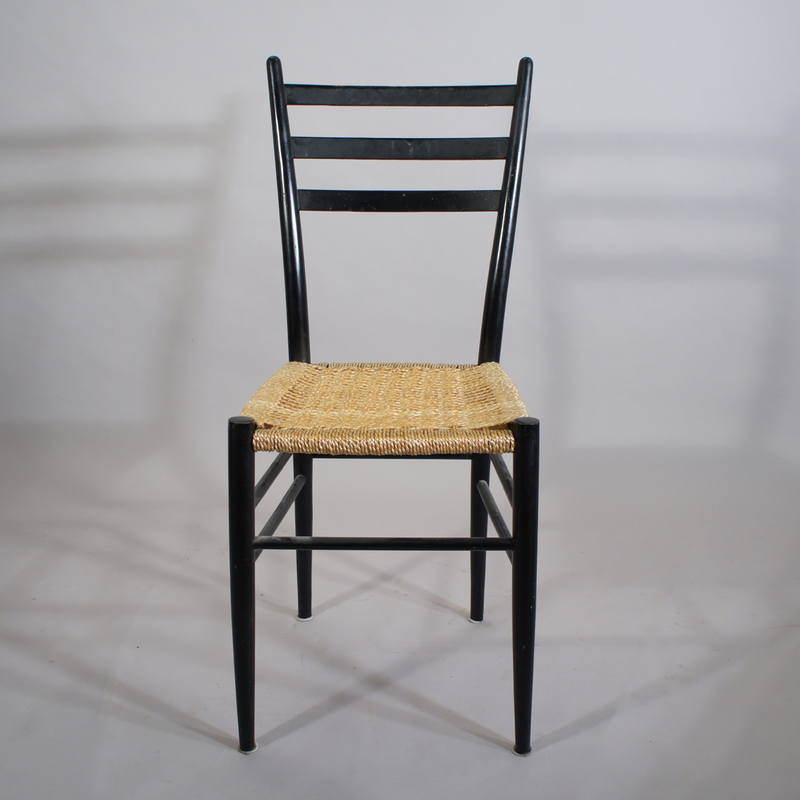 “Calypso”, Ikea 1960’s. 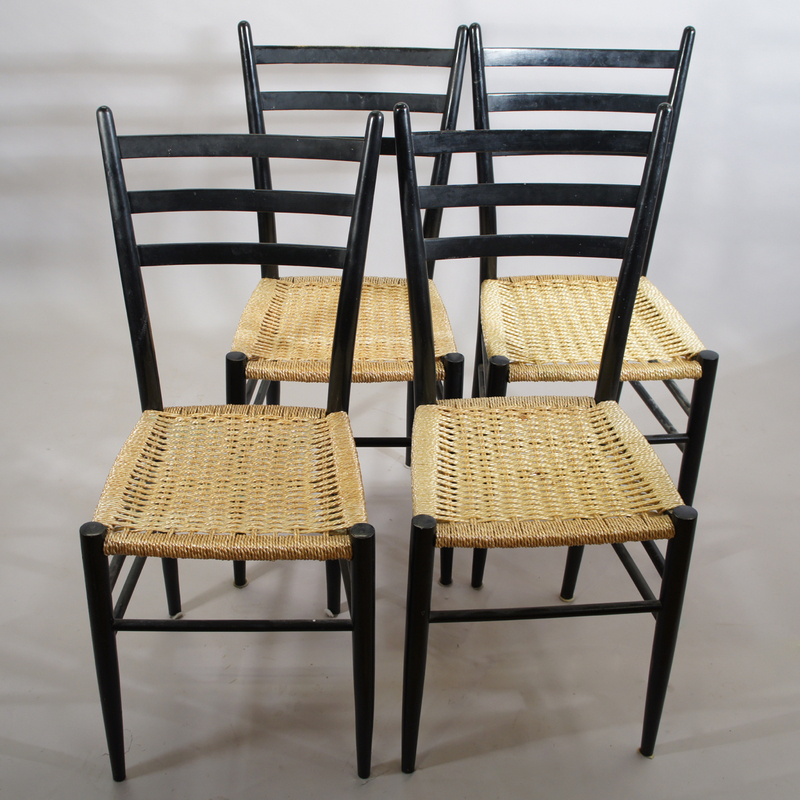 3300 SEK/ set of 4 chairs.